Here's week 28 all finished and for this page I've taken a whole sheet of 12 x 12 and cut it into 4 x 6 cards. The only card not cut from a sheet is the title card taken from one of the last kits from the start of the summer. 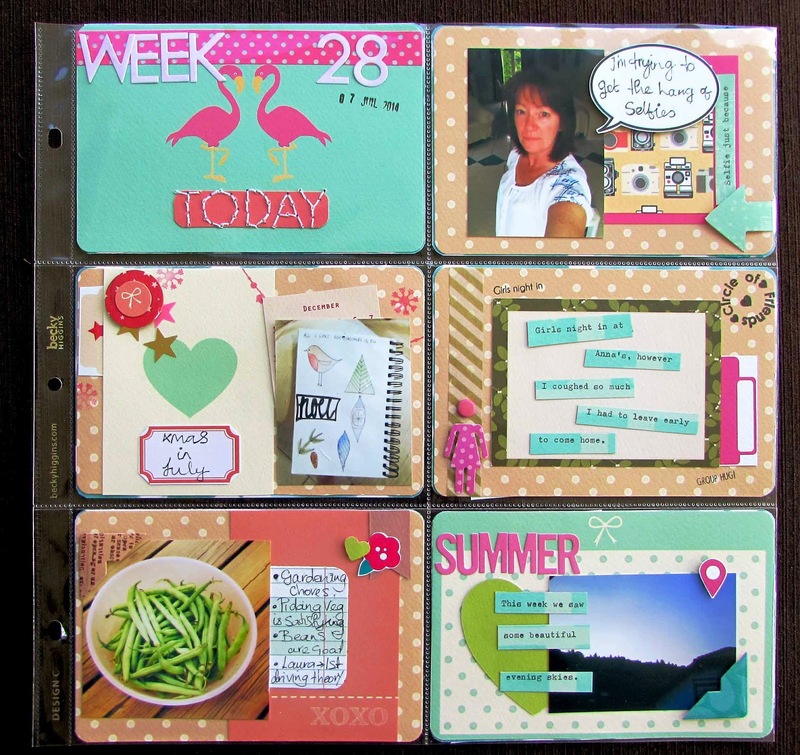 I've mixed things up a bit with offcuts and a few stamps plus one or two journaling cards from previous kits. I've tried to keep to certain colours as one of my "things" is for a page to be fairly uniform and not to messy. 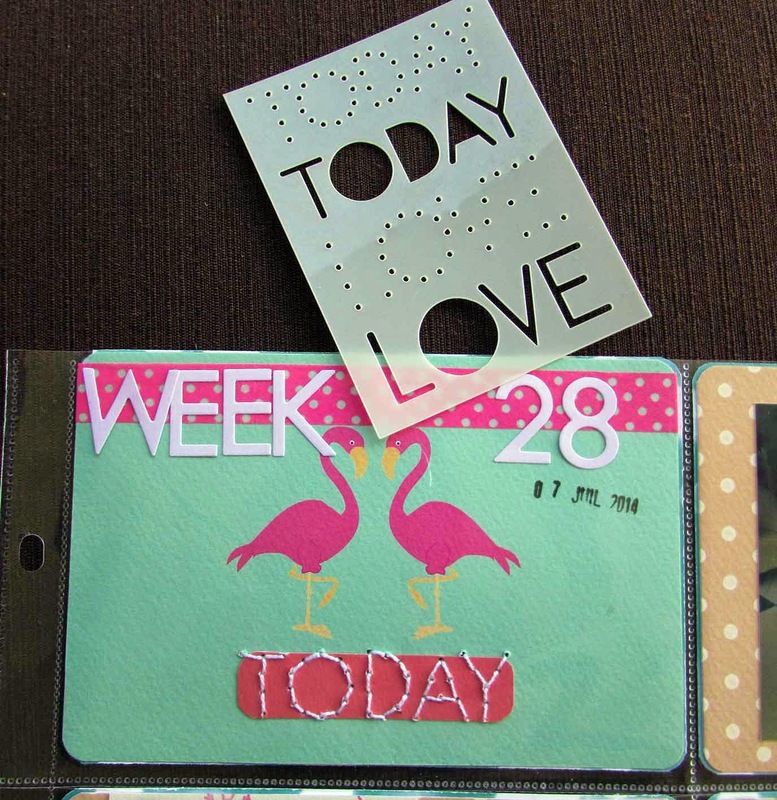 Something totally new for me is to have a go at sewing on a journaling card and this template makes it super easy. Hopefully this weekend I'll have some time to catch up a bit more.